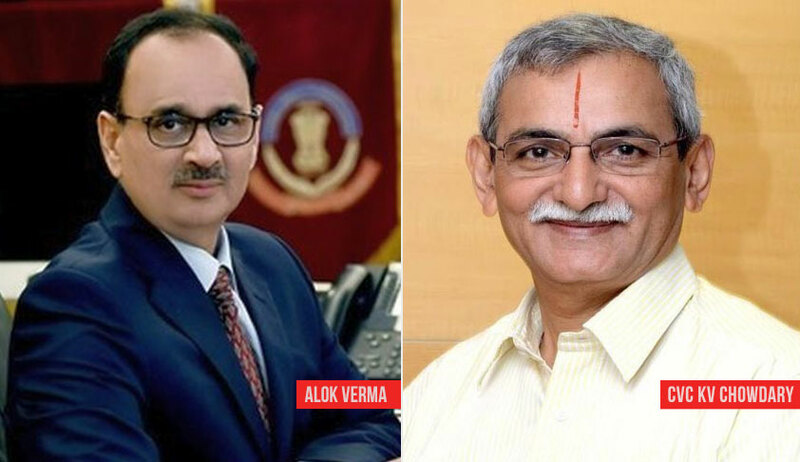 Alok Verma IPS has filed a writ petition in the Supreme Court challenging the orders passed by the Central Vigilance Commission(CVC) and the Central Government on October 23, which have divested him of the powers of CBI Director and has given charge of Director to M Nageshwara Rao as interim measure. In an overnight order passed by CVC K V Chowdary in exercise of Sections 8(1)(a) and (b) of the CVC Act read with Section 4(1) of the Delhi Special Police Establishment Act(DSPE), Alok Verma was divested of his powers. The petition states that the CBI director is appointed by a High Powered Committee comprising the Prime Minister, Leader of Opposition and the Chief Justice of India as per Section 4A of the DPSE Act. For transfer of the CBI Director, previous consent of the Committee is needed as per Section 4B(2). It is bypassing this Committee that the impugned orders have been passed by the CVC and the Central Government. With the intention of insulating the independence of CBI from political executive, the Director's tenure has been fixed as two years as per Section 4A of the DSPE Act. The petitioner was appointed in January 2017, and his removal in the present fashion violates Section 4A of the Act. The impugned orders run counter to the dictum of the Supreme Court in Vineet Narain, 2G and Coal Block cases that the CBI should be insulated from governmental interference. According to Verma, Asthana had tried to concoct evidence against Verma to "impugn his reputation", which has led to a CBIFIR being registered against Asthana. In that backdrop, the impugned decisions were taken overnight by the CVC and the Central Government. It is stated in the petition that "illegal interference of this nature not only erodes the independence of the institution but also affects the morale of its officers". It states that the Central Government's actions "gives serious credence" to the need to insulate CBI from the Department of Personnel and Training(DoPT). DoPT control "seriously hinders the independent functioning of CBI". The impugned orders are challenged as arbitrary, sans jurisdiction and due process,and hence violative of Articles 14, 19 and 21 of the Constitution. The petition adds that the details of the cases which led to the situation are highly sensitive which cannot be revealed in the petition. However, the petitioner has undertaken to furnish the details to the Court. The petition was mentioned by Advocate Gopal Shankaranarayan before the CJI Ranjan Gogoi today morning, upon which the CJI agreed to list it on Friday for consideration.